The Arab Spring countries faced significant transition challenges, in addition to the structural problems they have inherited. These countries have committed, mainly because of popular pressure, a series of reconsiderations of the old economic policies. 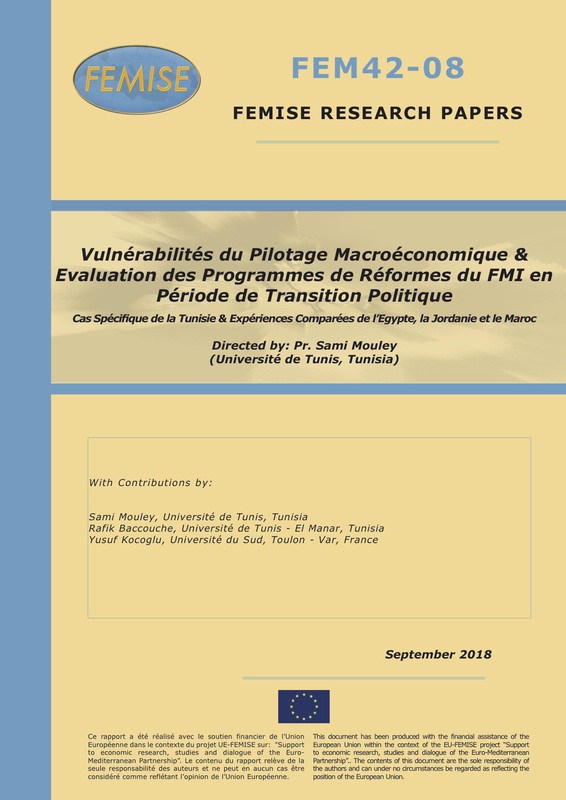 Applied to the IMF’s reform programs in the Arab Spring countries (Egypt, Jordan, Morocco and Tunisia) during the transition period, this study aims to fill a knowledge gap on how to take into account reform evaluation methods, whose analysis grid will identify and analyze the key factors of success or failure of policies, to better understand their particular contexts as well as the constraints of transposition of reforms. The cross-tabulation of econometric results globally shows that when IMF programs, although appropriate, are not always followed by a positive effect on growth, the explanation would be rather to be sought in terms of the effectiveness of the reforms, ie , the compliance of countries with the structural benchmarks of the economic policy actions contained in these programs. Delays (or dysfunctions) in the implementation schemes of the reforms would be attributed either to conditions exogenous to the programs (political or security uncertainties linked to an indicator variable tracing the effects of the Arab Spring), or to defects in economic and institutional governance, or finally to poor allocation of resources as well as several non-productive aspects of public spending, which may be at the root of the slowdown in economic growth. On the other hand, when structural benchmarks are fully met, the effects of these programs on growth are clearly positive. Indeed, effective implementation of IMF programs would result in a net positive effect on growth regardless of the estimation method adopted.